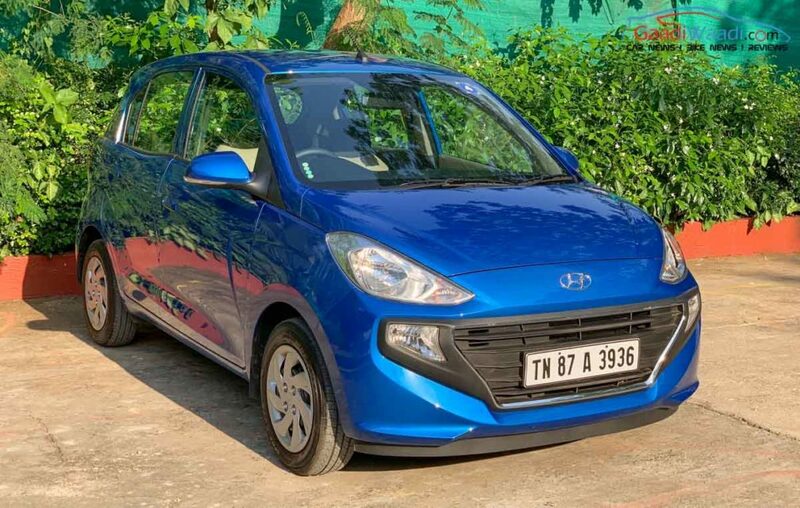 Hyundai officially launched the new Santro in October and the initial response for Santro is excellent as the bookings have crossed 40,000, while the waiting period is increasing. 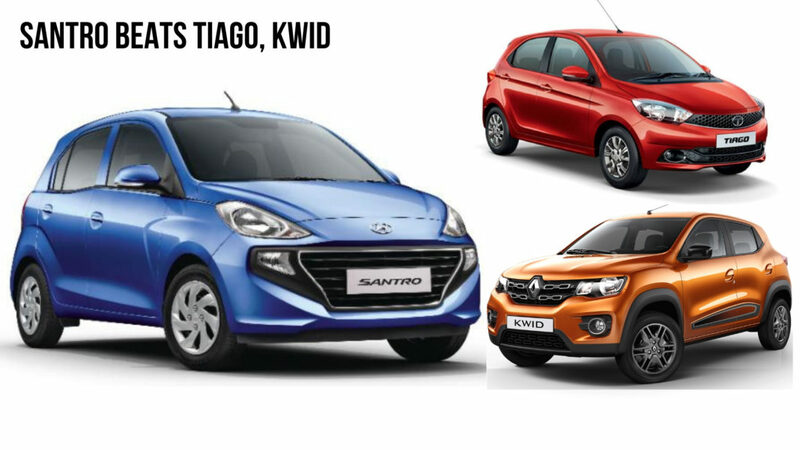 The company has managed to sell 9009 units in November and the Santro entered the top 10 car sales list for the first time beating Kwid, Celerio & Tiago. The bookings for Santro might be halted for some time as they are not able to keep up with the demand. The Santro is the model which helped Hyundai to establish in the Indian market and the successor only carry forward the name as it is completely different. The new generation model is based on the K1 platform. Hyundai has made so many changes to the platform as they want to make it stronger and more rigid. The hatchback uses 63 per high strength steel to improve strength and it will make Santro easily pass the new crash tests along with upcoming safety norms. The company has given a tall boy design theme for the hatchback. The front gets signature cascading grille along with swept-back headlamps and the fog lamps are placed slightly higher than usual. The design gives the impression of a wider car and some angle looks similar to the Grand i10 also. The side design is simple as the company is not offering alloy wheels as top end model come with 14-inch steel wheels. The rear also gets a new design for the tail lamps along with a dual tone bumper. The interior design is modern as the company has given the beige-black colour theme. The hatchback comes with segment first features like 6.94-inch touchscreen infotainment system with Apple CarPlay and Android Auto, rear AC vents and reverse camera with parking sensors. The Santro also come with safety features like dual airbags, ABS, EBD, front seatbelt with pre-tensioners, speed-sensing door lock, impact-sensing door lock and more. The hatchback is powered by a 1.1 L four-cylinder engine with 69 PS and 99 Nm, mated to 5-speed manual and AMT gearbox. According to ARAI, Santro return 20.3 Kmpl and price starts at Rs. 3.89 lakh (Ex-Showroom).